Affordable quality dentures can help seniors live fuller lives, but you must care for dental dentures properly. People who wear them are more likely to suffer from malnutrition and weight loss when their dentures donâ€™t allow them to chew certain foods such as protein-rich meats. If you are a caregiver for an elderly person with dentures, you need to know how to help maintain his or her oral and general health. Making sure that dentures fit and function properly is one way to do that. Observing the following denture care tips for seniors can help. Ultrasonic cleaners can be effective, but they donâ€™t replace daily brushing. Affordable quality dentures can improve the overall health of many seniors, but theyâ€™re not always trouble-free. 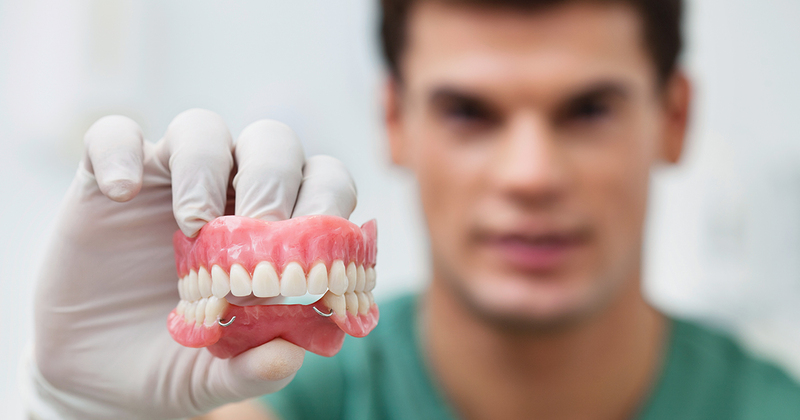 If a denture breaks or suddenly becomes painful, donâ€™t try to fix or adjust it yourself. Do-it-yourself repairs often cause irreparable damage. When a senior in your care complains of ill-fitting dentures, denture pain, or chewing problems, take them to a dentist promptly for professional care. With consistent maintenance, affordable quality dentures can help make the golden years healthy and fun.